Subscribe to "Tax Insights" by email	or via RSS. Tax reform raised the amount of the standard deduction for individuals and couples. Tax reform removed some itemized deductions (miscellaneous itemized deductions like investment and tax preparation fees) and limited others (state and local taxes and real estate taxes). Outcome: Most taxpayers will no longer itemize their deductions and will take the standard deduction instead. Outcome: By taking the standard deduction, your charitable giving will no longer generate any tax savings. 1. You benefit the charities of your choice. 2. You lower your taxable income. Why? Because any IRA QCD does not have to be included in your income. Wow! Doesn’t that sound great? But how do you get a QCD done? You must follow specific rules to get the distribution qualified. You need to be 70 ½. You can only do $100,000 in total QCDs in a year. Any amount below is fine and you can give to as many charities as you like, but you cannot exceed $100,000 per year. 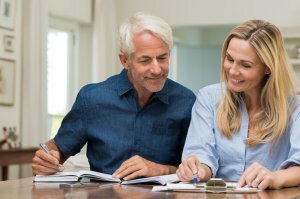 Your spouse can also do $100,000 from his/her IRA. You must direct the IRA Fiduciary to pay the amount you choose to the charity DIRECTLY. You cannot receive the funds from your IRA and then write the charity a check from your account. If you forget to instruct the IRA company and get the RMD funds put in your account – too late. Most IRA fiduciaries have a section on the IRA distribution paperwork for QCDs. Your charity must be qualified to receive a QCD. Most charities do. Do as little or as much as you like. You don’t need give your entire RMD to charity and you can give more than your RMD to charity each year, as long as the total amount is $100,000 or lower. Using a QCD lets you take care of withdrawing your RMD, pay no tax on it and make a donation to charity instead. That’s a good thing, right?